London can be expensive. Like crazy expensive. And we know just how important it is to save a few dollars when you’re travelling. It can mean the difference between being able to dine out or having to eat toast and peanut butter for dinner, again, while hiding away in your hostel. So, for those of you travelling on a shoestring budget, here are the very best free things to do in London. And the best bit; they won’t cost you anything. We’re talking everything from gigs in historic buildings and the best galleries and museums worth visiting to picnics in royal parks and some of the coolest London attractions, all for free. Squeeze into legit English pubs Angel Comedy Club and Top Secret Comedy Club for a whole lot of laughs. Watch one of The Royal College of Music's regular lunchtime concerts. Find them scattered all over the city. Check out a free gig at The Garage. Walk around Covent Garden and see some of London’s best street performers. These guys have to audition just to perform so you’re guaranteed a quality show. Take a free acting masterclass at Theatre Royal Haymarket. Check out one of the many free events taking place at the Southbank Centre. Don’t miss their lunchtime gigs every Friday. Go to the Scoop outdoor amphitheatre for free theatre, festivals, films and sports screenings right by the river. Watch a free film at the BFI. Sign up to be an audience member in one of your favourite shows. Suss out the BBC’s best or one of the other networks. BYO roller blades to one of London’s quirkiest free groups for a Friday Night Skate around the city. Those bizarre travellers who still love to exercise while on holiday can join a free running or cycling club for the day. De-stress on your holiday (vacationing is hard, you guys) with free yoga classes at St Margaret’s House every Friday night. See massive modern art installations at the Tate Modern. Also, head to their viewing platform for views over the Thames and surrounding cityscape. Walk around dinosaur bones, the skeleton of a blue whale and all other sorts of amazing natural wonders at the Natural History Museum. Go next door to the Science Museum for all the interactive kid-friendly exhibits which we adults not-so-secretly love. You could spend a good week checking out all the free installations at The British Museum. There’s so damn much on display. They even hold free 30-minute tours every day. See some of the Great’s artwork at the National Gallery and take part in some of their free workshops so you can actually understand what you’re looking at. Head around the corner to see the National Portrait Gallery's standout collection. Explore the Victoria and Albert Museum; the world’s leading museum of art and design. Take a free tour of the enormous Somerset House every Tuesday. Go to one of the Saatchi Gallery's free exhibits showcasing young and emerging artists. Get lost in the maze that is the Barbican complex, one of the best examples of Brutalist architecture, before exploring the Barbican Centre and its stunning conservatory. Visit the National Maritime Museum in Greenwich for a look into how the British conquered the seas. Get to know more of London’s rich history at The Museum of London. Get some unique views over London and the Thames by climbing up the massive hill in Greenwich Park. Stroll around some of London’s most famous parks in the centre of the city. Don’t miss Hyde Park for sheer size and St James’s Park for the feeding of the pelicans and the countless roaming squirrels which are just too damn adorable. See roaming deer at Richmond Park. Go to one of London’s Magnificent Seven Cemeteries for creepy yet beautiful walks. Our favourites are those in Abney Park, Brompton Park and Kensal Green. Get yet another spectacular view over London from Primrose Hill. Soak up the festival vibes at London Fields and Victoria Park in Summer. Dive into one of Hampstead Heath's gorgeous swimming ponds. There are ponds for men and women as well as a mixed pond, each of which is secluded and ideal for escaping the hot city in summer. Walk or run along a few of London’s historic paths which take in some of the most iconic landmarks. 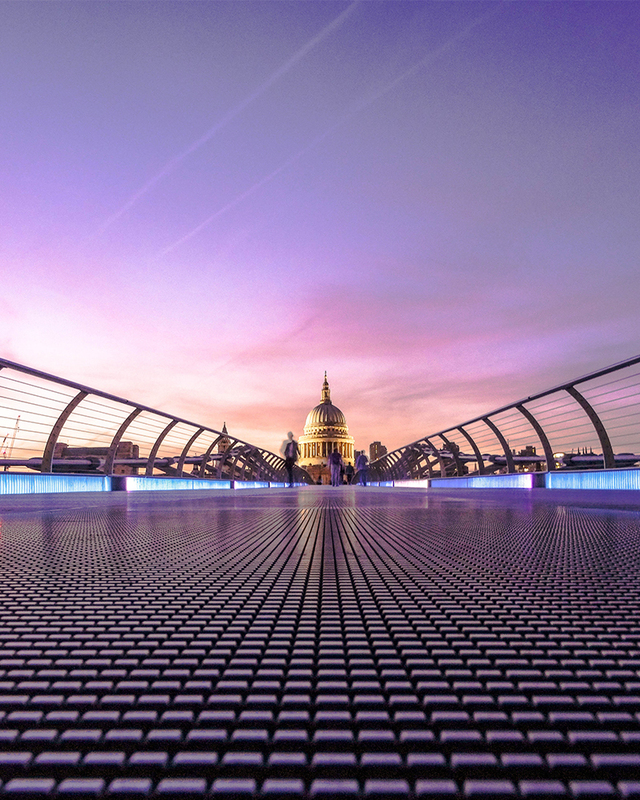 Try the Jubilee Greenway, Jubilee Walkway or The Diana, Princess of Wales Memorial Walk. Catch the free Woolwich Ferry across the Thames. Get lost in East London among the wonderful street art; you might even find a few Banksies. Go to St Paul’s Cathedral when they’re hosting Evensong. This is the only proper way to get in for free. See the Changing of the Guard in front of Buckingham Palace or the equally impressive Changing of the Queen’s Life Guard at the Horse Guard Parade. Also check out the lesser-known Ceremony of the Keys at the Tower of London. Go to the top of the Walkie Talkie to reach the Sky Garden, a massive viewing platform right in the heart of London. Literature lovers can geek out in the British Library. Get up close and personal with llamas and goats at Hackney City Farm. Instagram to your heart’s content at God’s Own Junkyard, Europe’s biggest collection of vintage neon signs. Fun fact: Episode 11 of Amazing Interiors on Netflix gives you a sneak peek into this place. Walk through the most expensive and extravagant parts of Harrods. You won’t be able to afford anything, but you’ll laugh yourself silly as you catch a glimpse of how the top 1% live. Walk along the Southbank and, if you get there at low tide, you can even get onto the shores of the Thames. Fill yourself up on free samples at the famous Borough Market. Check out all the antiques at Notting Hill’s Portobello Market. 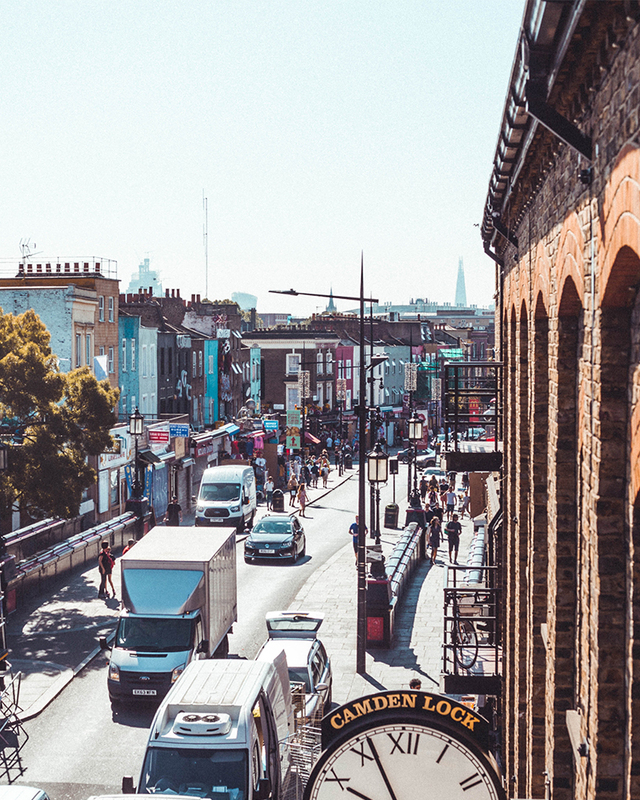 Discover local artists and designers (and of course all of the food) at both Brick Lane and Broadway Market in East London. Walk through Columbia Road Flower Market for a sensory overload. All the bright colours and floral scents will get you in the best mood. Sit by the canal and walk around all the foodie stalls at Camden Market. See some Afro-Caribbean culture at Ridley Road Market in the hipster’s paradise that is Dalston. Head North for the Hackney Flea Market. Buy some unbelievably cheap vintage clothes or just enjoy looking at all the cool antiques. While you're in Europe's neck of the woods hit up the four Berlin neighbourhoods that aren't Mitte.